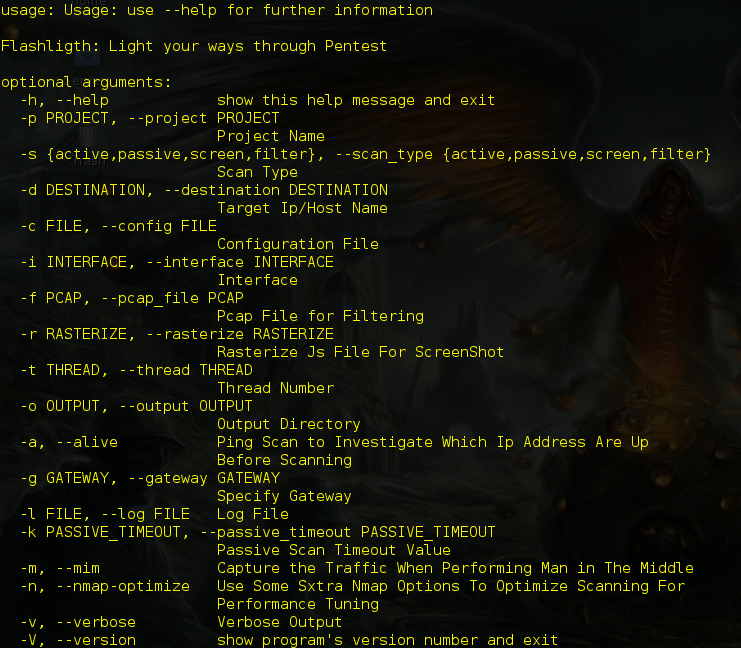 Browse: Home / Flashlight v1.0 released – Automated Information Gathering Tool for Penetration Testers. Pentesters spend too much time during information gathering phase. 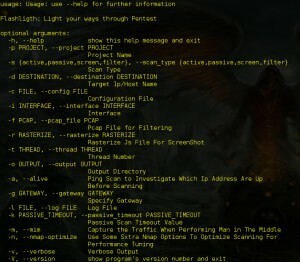 Flashlight (Fener) provides services to scan network/ports and gather information rapidly on target networks. So Flashlight should be the choice to automate discovery step during a penetration test. In this article, usage of Flashligh application will be explained. 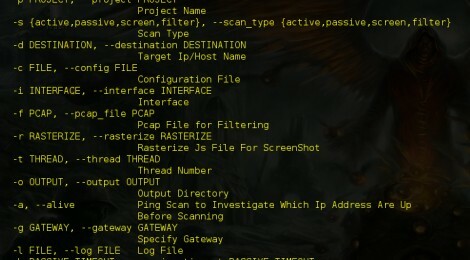 1) Passive Scan; In passive scan, no packets are sent into wire. This type of scan is used for listening network and analyzing packets. 2) Active Scan; During an active scan, NMAP scripts are used by reading the configuration file. 3) Screen Scan; Screen Scan is used to get screenshots of web sites/applications by using directives in config file (flashlight.yaml). 4) Filtering; Filtering option is used to analyse pcap files. ← Ora-PWN – Oracle Attacks Tool.